Question: Find a "new to you" blogger and feature their button on your post this week. Tell us why this blogger stands out to you. It's not exactly new to me, but I absolutely love reading Books & Sensibility. The girls behind the blog always come up with super fun posts that go past the simple book reviews and memes. Their latest post was about four series they had read all the way through, and whether they would recommend the entire series or not. It was cool to see what they thought about some of the series I had read, and how their recommendations lined up with what I had heard other bloggers saying about certain series. Overall, their blog is a ton of fun and always has new posts that keep things fresh and interesting. That button is adorable. I'll have to pop over there. Happy Friday! New bloglovin follower; would appreciate a follow back. Thanks! Hoppin' though! I absolutely love your blog! New follower via GFC. 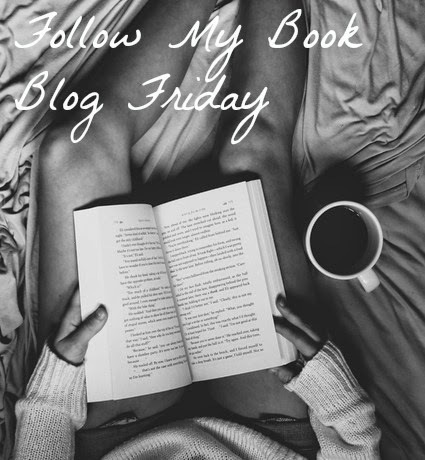 My FF and featured blog! Jessica, thank you so much for including us in Follow Friday, we appreciate all the nice things you had to say about our blog. Really like your blog design and I'm totally following you back now !